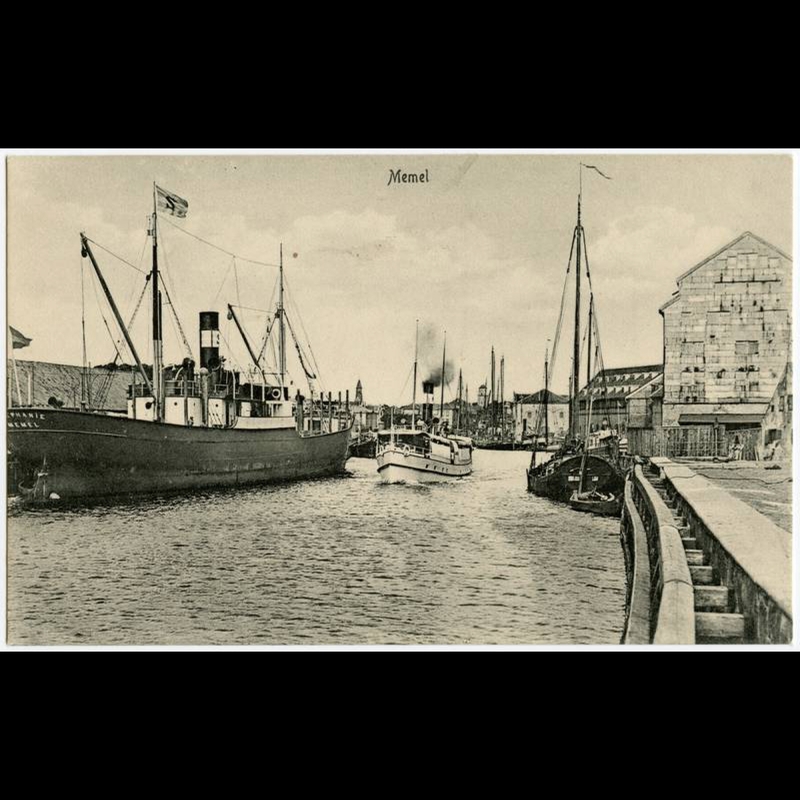 Nevertheless, your time will be well-spent, because you will get to know Klaipėda rowing on Danė (referred to as Dangė many years ago) – the only river flowing through the heart of the city. It used to be a port, harbouring about 300 ships. On the left side of the river, now referred to as the Sailor's Quay, there were warehouses, loading areas, various factories and a flax weigh, while on the right side, now referred to as the Royal, there were important buildings and monuments: the city hall, the Exchange, the Old Post Office, the customs and Borussia monument. Unfortunately, what we can see today is only the building of the City Hall. Taking this route you will be able to see Meridianas sailing ship – the symbol of the city. You will also pass Birža Bridge, which witnessed a number of events, also the Mermaid gracefully sitting near the bridge, the royal residence – the City Hall, the Fisherman, standing in the place of Borussia, former warehouses now turned into bars and, of course, the building of Meyhoefer Shipping Company, which was the first multi-storey building in Klaipėda and also the first building in Klaipėda to have an elevator. This quay is full of bollards, which represent the traditions of sailing. Our journey will end near Pilies Bridge, which used to be referred to as Charles' Bridge, named after the son of Friedrich Wilhelm III, the King of Prussia. Route length – 1,5 km.